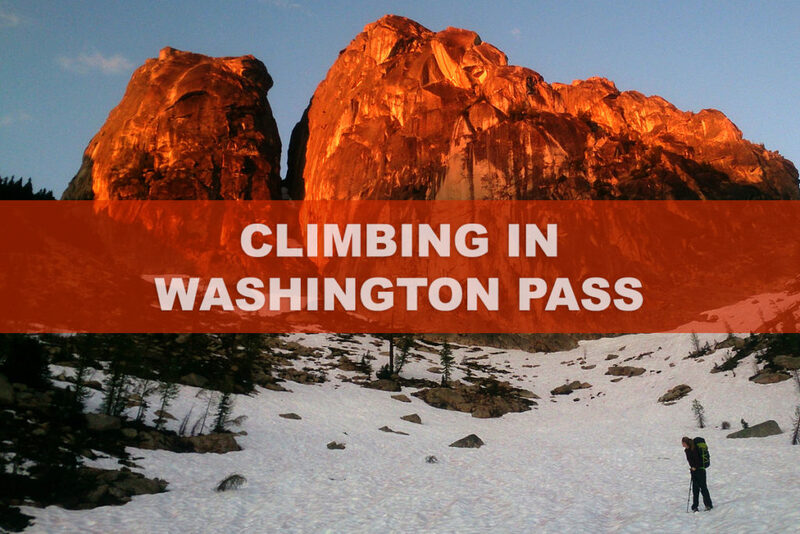 Why Washington Pass? 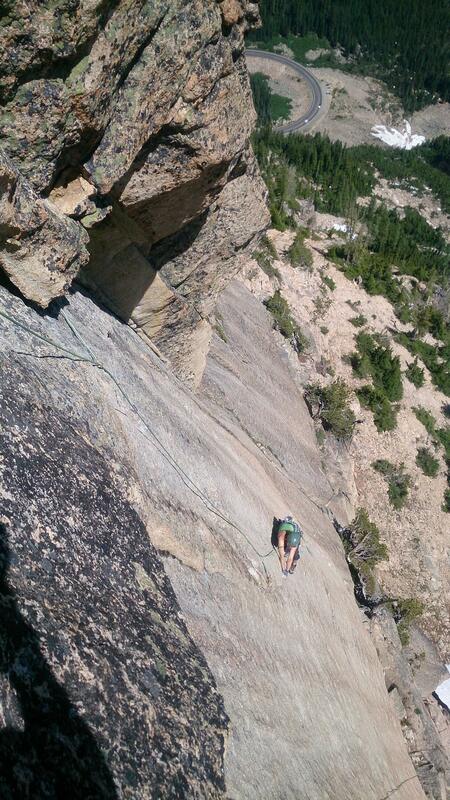 Long, epic, alpine granite routes with ridiculously easy access. Your standard approach is little more than a (1.5-3hr) walk in a (steep) park. You get to sleep in your luxury van every night, use the free toilet (in Canadian: ‘washroom’) at the car park, and you can check out all the chipmunks and marmots without having them check out all your food – because, that’s right, you didn’t have to set up any camp. 1. Border security are scary. They all have guns, and they are all interrogating you. Right from ‘where do you live?’ (I didn’t quite know how to answer that one), to ‘and where are you staying tonight?’ (I didn’t really have an answer to that one either). Be prepared to give one word answers; definately no small talk. 2. You are not allowed to take citrus into the U.S. If you do (plus bring your entire week’s worth of groceries) you will spend a much more time at the border. 3. Your pet cactus might make it across the border twice, but at the third crossing it will be confiscated. You need a car, for sure. You can park it at the Blue Lake Trailhead car park, which is free if you have a Northwest Forest pass or pay $5/night. This is also, conveniently, the start of the approach for all the west facing routes. The guidebooks (Supertopo or Mountain Project) refer to the ‘hairpin’ approach for east facing routes – this is the unmistakeable hairpin bend in the road. The trail here is steeper, more rugged, and comes with sneakier mountain goats. There is no cellphone reception, but all the weather comes from the west. As long as you’re on a west facing route, you can see what’s coming. If not, you’ll know when it gets there. The closest shop is in Mazama and it won’t be open when you get there. Stock up at Omak instead – there is a Walmart (24hrs) where you can spectate upon overweight Americans unnecessarily riding scooters while you shop. But, if you do get time, go to Goat’s Beard in Mazama. It’s a pretty cool gear shop and has an even cooler logo. Water! In July the snow is still melting and you can fill up on your approach and descent. In August, there is no more snow to melt, so you’re pretty screwed if you don’t bring any water. Get yourself a windproof layer. Enough said. There are old school, adventurous 5.8s, there are multi-day hard trad and aid routes, and everything in between. 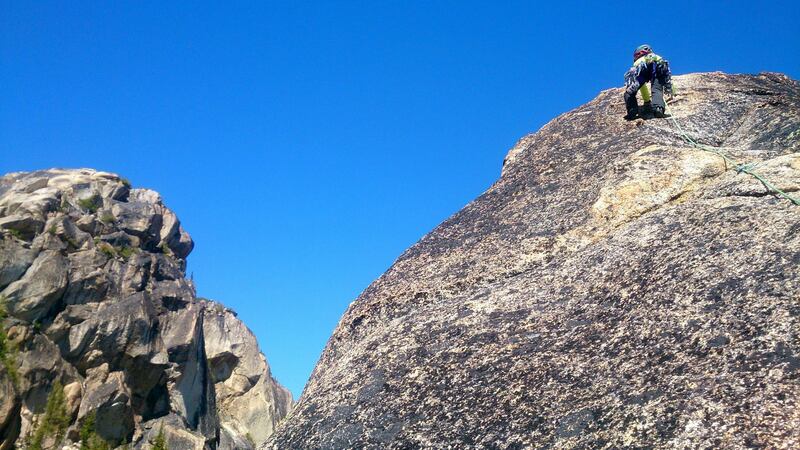 Way to get yourself solid on big granite routes with both bomber and ‘alpine’ protection! So get yourself a guidebook, a rack, a couple of days and some good weather and head out to Washington Pass. Just remember to leave you cactus at home. A spicy little run-out with the hairpin bend in the background. This article was first published on Pet’s blog here.